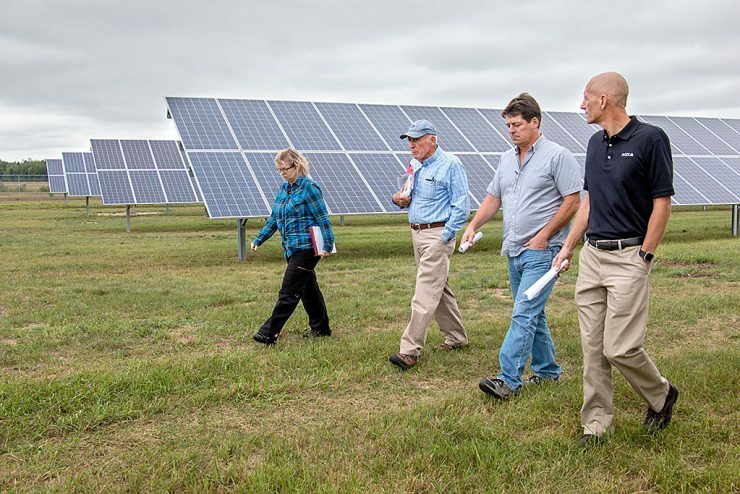 ESCANABA — The sun did not cooperate but the solar panels installed at the Delta County Airport by the city of Escanaba were working yesterday when members of the Escanaba Electric Advisory Committee and City Council met at the site to see the completion of the city’s solar garden. 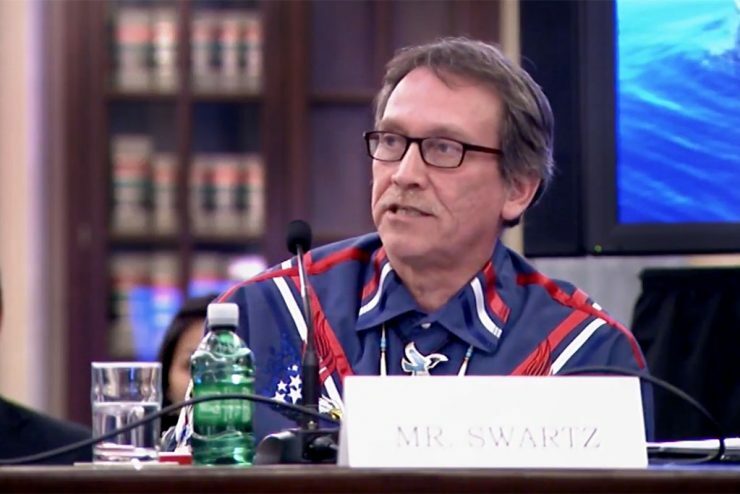 The president of the Keweenaw Bay Indian Community spoke in favor of the Great Lakes Restoration Initiative and other efforts to restore the fishery on the Great Lakes, especially Lake Superior, at a U.S. Senate subcommittee hearing. WASHINGTON D.C. — U.S. 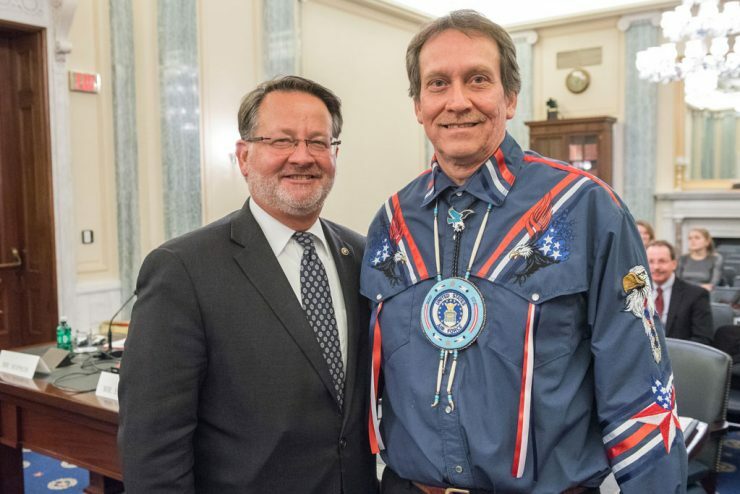 Senator Gary Peters hosted Chris Swartz, president of the Keweenaw Bay Indian Community, at a subcommittee hearing in Washington D.C. this week on how to protect Native American lands for future generations. 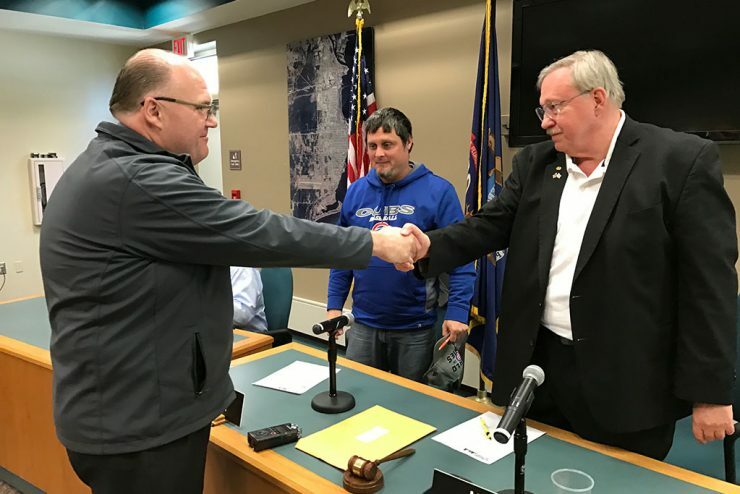 ESCANABA – The Escanaba City Council this afternoon offered the city manager’s job to former Negaunee City Manager Jeff Thornton. He was one of three candidates considered to replace Jim O’Toole who is retiring in July. 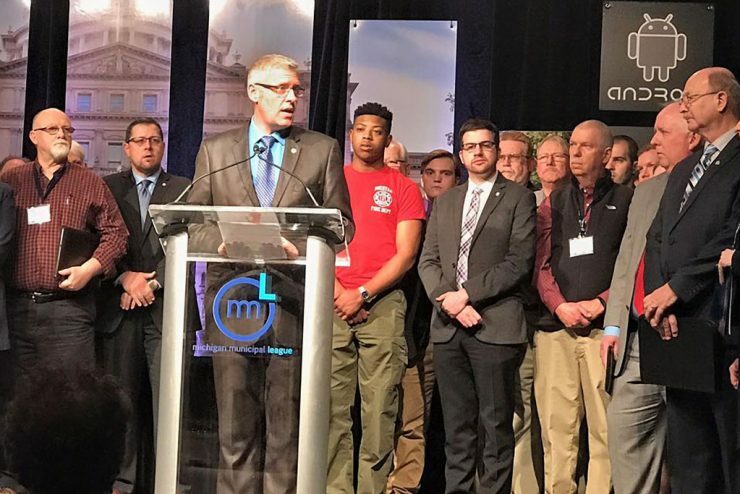 ESCANABA — A bill to close the so-called dark store tax loophole was reintroduced in the state House Tuesday. Legislation stalled last year in the Senate. 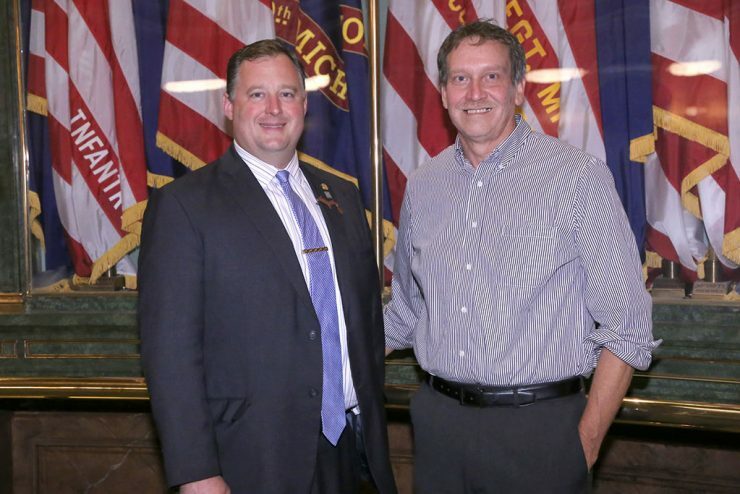 LANSING – State Rep. Scott Dianda, D-Calumet, hosted Keweenaw Bay Indian Community Tribal President Chris Swartz and honored two fallen firefighters from the Keweenaw Bay Indian Community Beartown Firefighters at the Michigan House of Representatives’ Sept. 11 recognition ceremony Friday. ESCANABA — Under the cells at the Delta County Jail, there is standing water at the end of a utility tunnel. 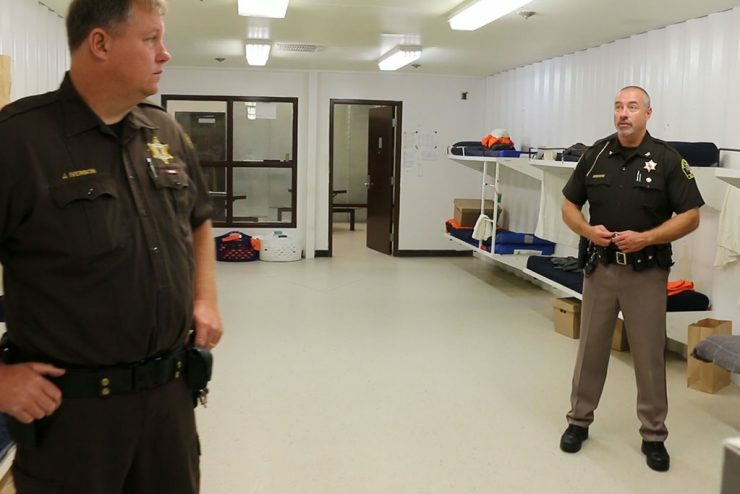 Water damage and flooding is one of several reasons given for a new jail. The condition of the 50 year old jail is deteriorating. 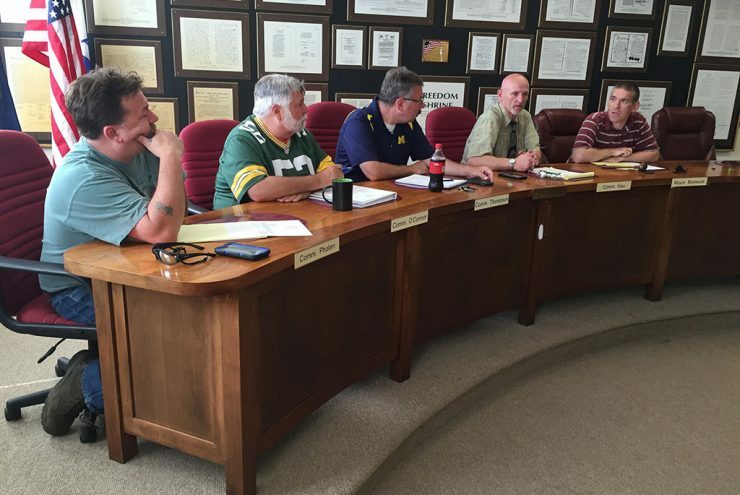 GLADSTONE – Gladstone Mayor Jay Bostwick and Commissioner Steve Viau have been appointed to a committee to identify local leadership advisory services in their effort to find a new city manager. ESCANABA – Gov. 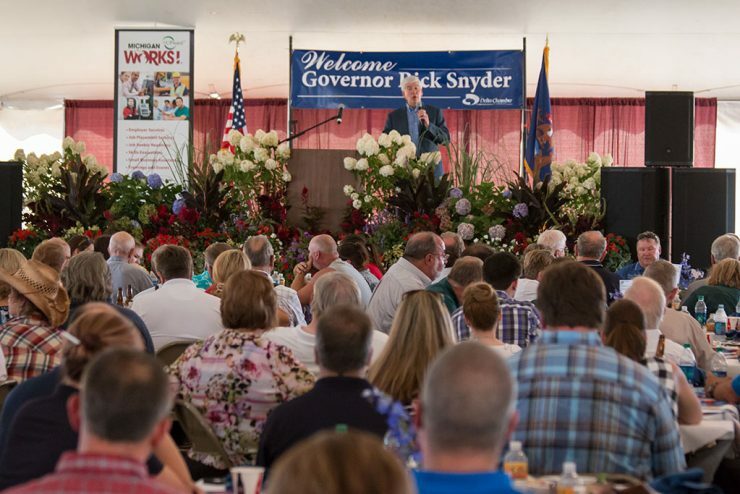 Rick Snyder told members of the Delta Chamber of Commerce Thursday that Michigan has made major progress over the past several years. He spoke at a luncheon at the U.P. State Fair. He said Michigan went through a difficult time calling it the lost decade. FAYETTE – The Poverty Island Wildfire, burning since late June on the 200 square-acre island off the Garden Peninsula in Lake Michigan, is 60 percent contained. The fire ignited June 26 from a lightning strike.